This walkthrough will guide players on the main adventure on the Ultra Sun and Moon Aether Paradise. This includes info on Pokemon, Trainers and others. This walkthrough of Ultra Sun and Moon Aether Paradise will guide players on the main adventure on the Aether Paradise. This includes info on Pokemon, Trainer Battles and Items on the Aether Paradise Map. Once you arrive in Aether Paradise, go to the center of the basement. There will be a lot of Aether Foundation personnel here so it would be wise to avoid them and sneak through the boxes. Go towards the center elevator and then up to the first floor. After arriving at the first floor, you will battle the Branch Chief, Faba. 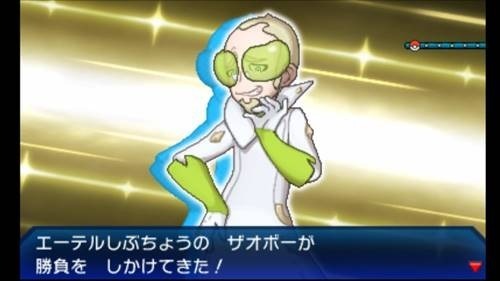 Faba uses a Lv.43 Hypno. To heal your Pokemon, just talk to the receptionist that can be found at the ground floor. Gladion will appear on the first floor. You can talk to him and go the second floor after. Once you reach the second floor, Hau will give you a Max Revive. On the right of the elevator, you will be challenged by three Aether Personnel. Defeat them to move on. You will see Gladion and have to enter the laboratory. You will then do a 2v2 battle with Hau as your partner. You can check the lab desk for some information about Cosmog. Once you’re finished, exit the lab head towards the first floor. After Gladion goes back to the elevator, you can now go towards the opposite side of the lab. When you arrive at the first floor, Faba will alert other Aether Foundation Employees to help him catch you. When you have defeated them in battle, Wicke will appear to heal your Pokemon. Meet up with Hau and Gladion. You will see that Faba is also there. Hau and Gladion will help you defeat more Aether Foundation Employees in the area. Once you defeat them, Faba will surrender the keys to the mansion. After you arrive in the mansion, two Team Skull Trainers will appear near the entrance. Another Team Skull Trainer will appear. 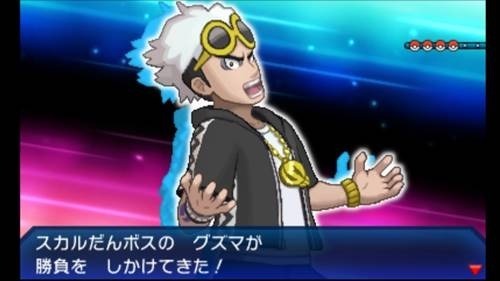 To battle Guzma, you must first talk to him. Guzma uses a Lv. 45 Golisopod, a Lv.45 Ariados, a Lv.45 Masquerain, and a Lv.45 Pinsir. Like your previous battles with him, use Fire and Flying-type Pokemon to defeat his Pokemon. Soliera uses just one Lv.47 Poipole. Poipole is weak against ground and psychic attacks so use those type of attacks to beat Soliera’s Pokemon. When you enter the mansion, you will find Lusamine. Follow her to the collection room. Ultra wormholes will appear and open all over the region, summoning Ultra Beasts throughout Alola. 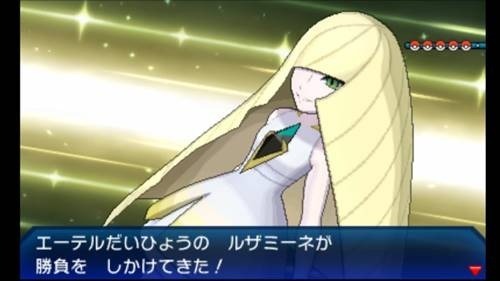 You will be challenged by Lusamine as Hau tries to stop Guzma. Lusamine uses a Lv.47 Clefable, a Lv.47 Lilligant, a Lv.47 Mismagius, a Lv.47 Milotic, and a Lv.47 Bewear. Use Light Screen to minimize the damage done by Clefable. Clefable will use multiple Cosmic Powers so use Physical moves to stop it. You can also use Dragon dance (Lv.45) on Gyarados to better withstand the attacks of Lusamine’s Pokemon. 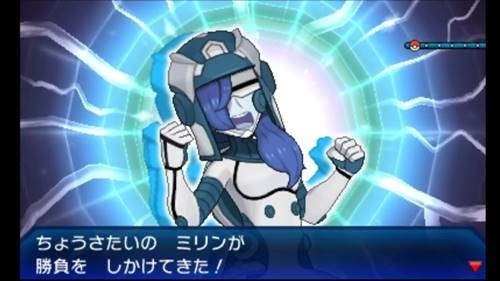 Once you defeat Lusamine, follow her, Guzma and the Ultra beast in the Ultra Wormhole. Find the clues to what happened inside the mansion. When you exit the mansion, you will find Lillie and Gladion. Lillie will talk to you for a bit. Afterwards, Gladion will tell you to go to Poni Island. You will meet up with Lillie. She has stronger Pokemon now that she has finished the Trials. You will also meet Gladion and he will show you an image of the Flute. You will receive a Master Ball. Afterwards, go down the elevator tothe first floor and go to the port. Talk to Gladion and get on the ship to Poni Island.